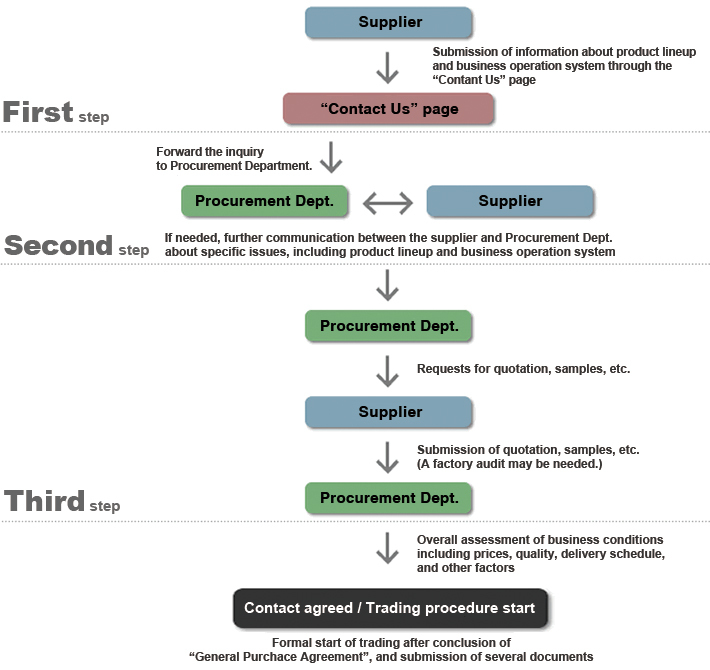 ﻿ Company Information : Procurement : Step to start trading | Japan Display Inc. Contact window ： Procurement Management Dept. Please send us your inguiries from "Contact Us" page. Note) In case that your inquiry is remotely related to our business, we may not be subject to responding to it.